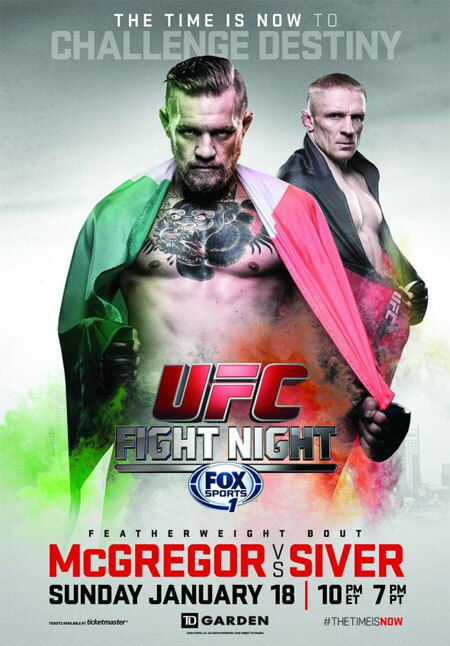 “UFC Fight Night: McGregor vs. Siver” is officially jumping off inside TD Garden in Boston, Massachusetts. UFC Fight Pass kicks off tonight’s festivities by streaming two preliminary bouts at approximately 6PM ET/3PM PT. Fox Sports 1 handle everything else from there. The network airs the remaining six prelims at 7PM ET/4PM PT. The main card begins at 10PM ET/7PM PT. Conor McGregor looks to continue to meteoric ascent towards superstardom by beating Dennis Siver in the show’s featured contest. Former lightweight champion Benson Henderson meets Donald Cerrone in the co-main event.